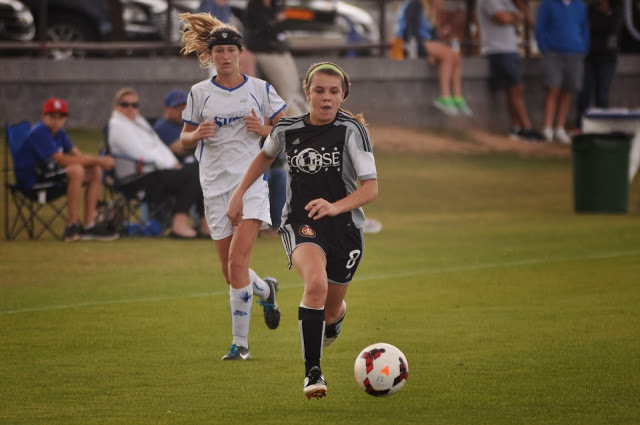 Eclipse Select Soccer Club forward Foster Ignoffo (Geneva, Ill.) had not initially envisioned Kentucky as a collegiate choice during her search. But with the help of a fellow teammate and the interest of an SEC program that has some of the best facilities and staff to offer, Ignoffo ultimately knew it was her best choice. Several months ago, Ignoffo made the commitment to play for the Wildcats program starting in the fall of 2016. Ignoffo is enjoying a strong season with Eclipse Select this year. She has a team-leading 10 goals in 11 games as the Eclipse Elite ECNL 2016 (U-17) side is off to an 11-0-0 start in the Elite Clubs National League’s Midwest Conference.